About the Special Olympics: Through the power of sports, people with intellectual disabilities discover new strengths and abilities, skills and success. Our athletes find joy, confidence and fulfillment -- on the playing field and in life. They also inspire people in their communities and elsewhere to open their hearts to a wider world of human talents and potential. 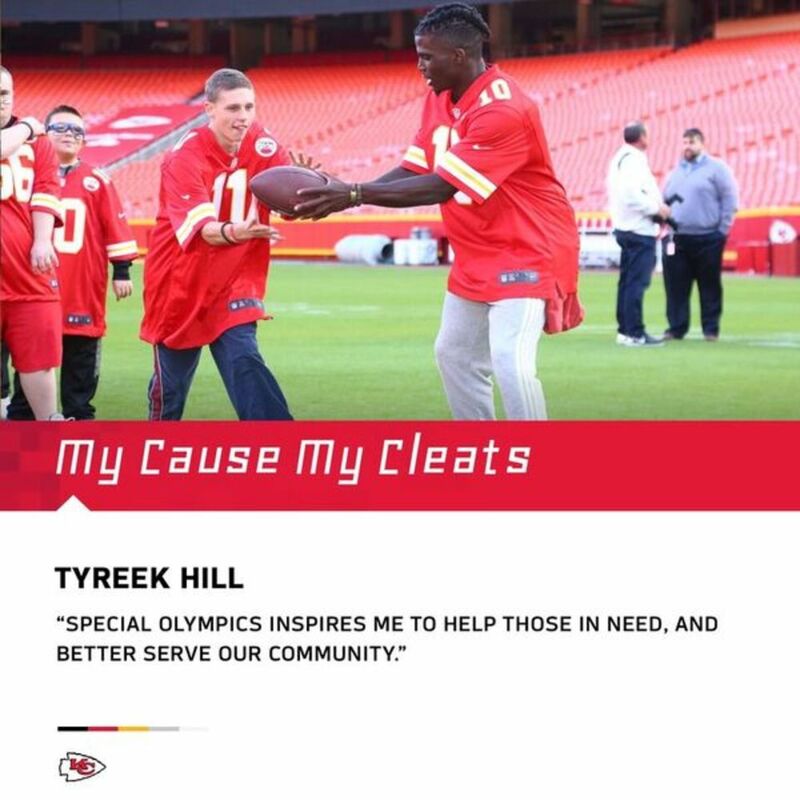 His Cause: "I chose the Special Olympics because of the kids. The kids are so amazing. I did a Play60 event with the Chiefs earlier this year and the kids had so much energy. Just being around those kids it made my day, so I was like you know what I'm just going to do it. I'm proud to be able to do something like this and I'm thankful." 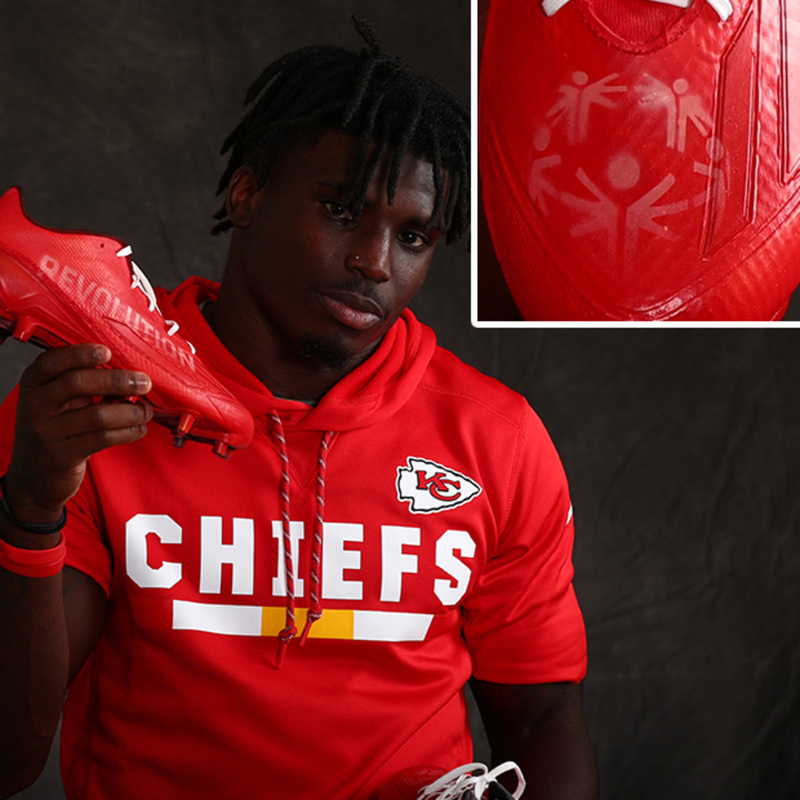 His Cleats: "When I first saw the cleats, I was amazed. I think he went over the top with it. He's done a great job…a fantastic job."